Monster Energy Yamaha Factory Racing’s Romain Febvre moves up to 3rd in the MXGP Championship Standings following two strong races for 4th overall at the fifth round of the MXGP World Championship in Agueda, Portugal, while Jeremy Van Horebeek wrapped up the Grand Prix in an incredible 6th overall despite going to the start-line in 32nd place. After crashing out of the Qualifying Race yesterday, Jeremy Van Horebeek had to line up for the races today in last place. Despite the handicap, the 28-year-old’s speed, skill & determination was highlighted as he stormed his way to a mind-blowing 6th place in the first race, and almost did the same in the final race of the weekend. A minor technical error cost him one position in Race 2 where he crossed the finish line in 8th place. Another eye-opening performance was that of Wilvo Yamaha Official MXGP’s Jeremy Seewer. The 23-year-old rookie is gaining confidence in his own skill, and is continuing to learn the capability of his YZ450F with every passing lap. In both races, the Swiss rider’s bolstering confidence had him banging ‘bars with some of the most acclaimed MXGP riders. A small mistake dropped him from 6th back to 8th, but he regrouped and came out stronger in Race 2, where he finished 7th for 7th overall, and his best Grand Prix result inside the premier class. 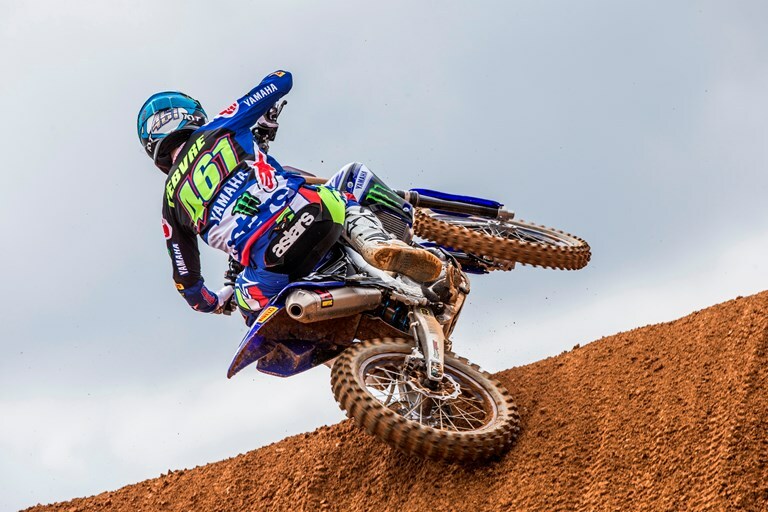 Wilvo Yamaha Official MXGP’s Shaun Simpson typically revels in deep and rutty conditions, but the weakness of his shoulder combined with a skin infection on his right-arm made racing today slightly more difficult than expected. Despite the discomfort he was experiencing, the 30-year-old talent managed to get two decent starts, which included a holeshot in the final race. He posted two 11th place finishes for 11th overall. This entry was posted in Global News, Moto, Motocross, Motorsports, Offroad by admin. Bookmark the permalink.